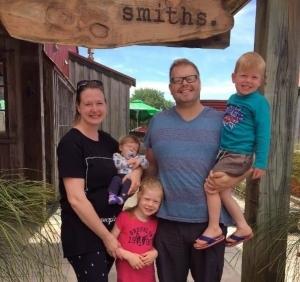 Dave, Alissa, Elly and Liam Smith are committed to seeing all peoples of New Zealand, Pacific Islanders, and those that cross this nation to find hope, life, healing, and empowerment through Jesus Christ. We are currently serving the community along side YWAM Tauranga and Changepoint Church here in Tauranga, New Zealand in the areas of pastoral care, training, music, media, and mercy ministries. Our passion is to see revival and reconciliation in Aotearoa and for that to be released into the nations. Our youngest daughter, Mykah, was born on September 14th, 2018. Mother and baby are doing well.